A black and white negative of Eric Leach leaning on his new car on November 25. No year was specified on the negative envelope. 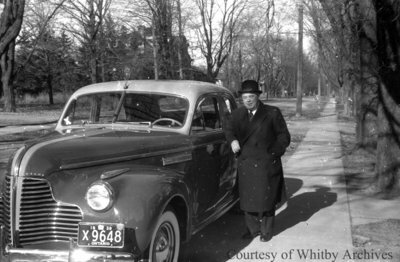 Eric Leach & New Car, c.1939, Marjorie Ruddy. Whitby Archives A2013_040_694B.